We spoke with CEO Erik Gatenholm about the company’s recent acquisitions and future goals. 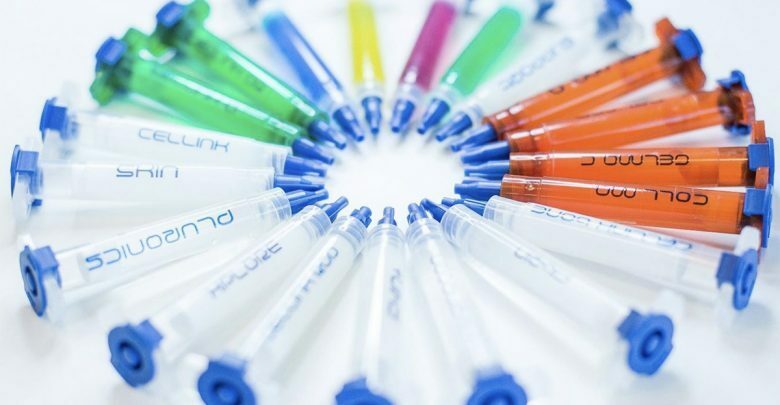 CELLINK‘s rise from a bioink startup to a bioprinting market global leader has been lightning fast. In 2015 I did my first interview, with founders Erik Gatenholm (CEO), Hector Martinez Avila (CTO) and Gusten Danielsson (CFO), about the launch of their very first bioink at a time when bioprinting was starting to become more widely available. Half a year later they were launching their first desktop system, the INKREDIBLE, then just the time for a quick “incredible” meeting with Erik on a ferry in Croatia and the next thing I knew, CELLINK become a public company, with over $7 million in yearly revenues and a truly global presence, with HQ’s in Boston, MA, and Gothenburg, Sweden. Now there is just no stopping CELLINK. Earlier this month, within seven days, the company completed its first acquisition, Dispendix, for $5 million and closed impressive partnerships with Prellis Biologic, to co-produce the Holograph-X volumetric 3D bioprinter, and MedImmune, on drug development testing (DDT). These are not just random operations but are part of a clear and sound strategy to dominate the bioprinting market in the years to come. What does that mean for the bioprinting industry and for the future of tissue (and eventually organ) printing? CELLINK founder and CEO, Erik Gatenholm, explains it all in this exclusive interview.